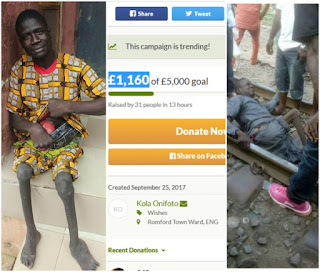 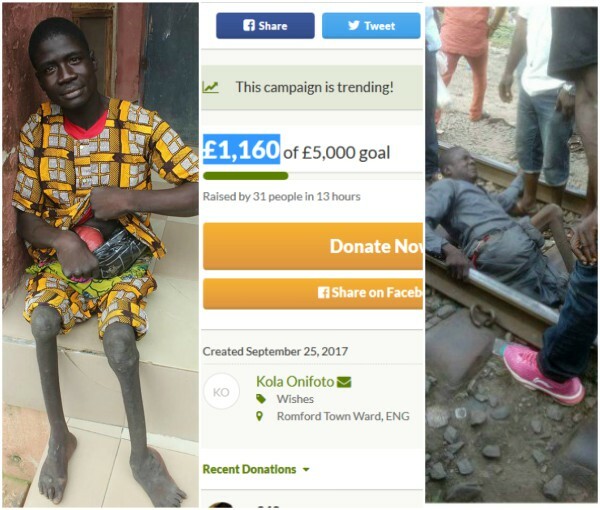 “A gofundme account is ready for Emmanuel Oyediran the wrongly accused beggar tagged a ritualist few weeks ago..
Before the end of the week, a bank account in his name will also be ready for donations as we are having issues getting a valid identity card for him as the banks make it compulsory.. 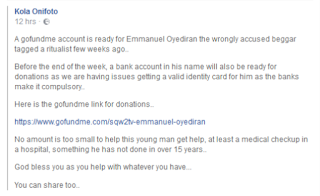 Here is the gofundme link for donations..
No amount is too small to help this young man get help, at least a medical checkup in a hospital, something he has not done in over 15 years.. 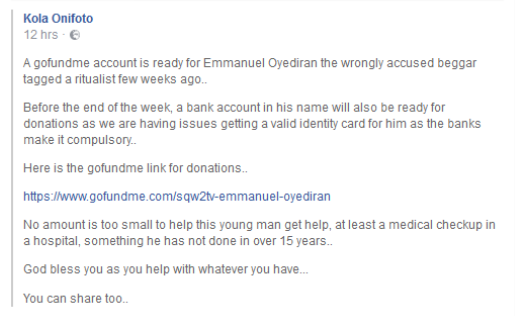 The campaign is already trending, as £1,160 has already been raised by 31 people in 13 hours.